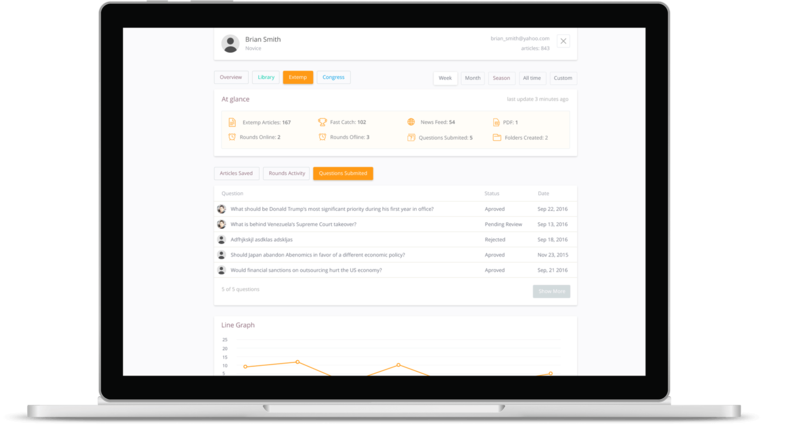 Gain valuable insights into the activity of your entire team. 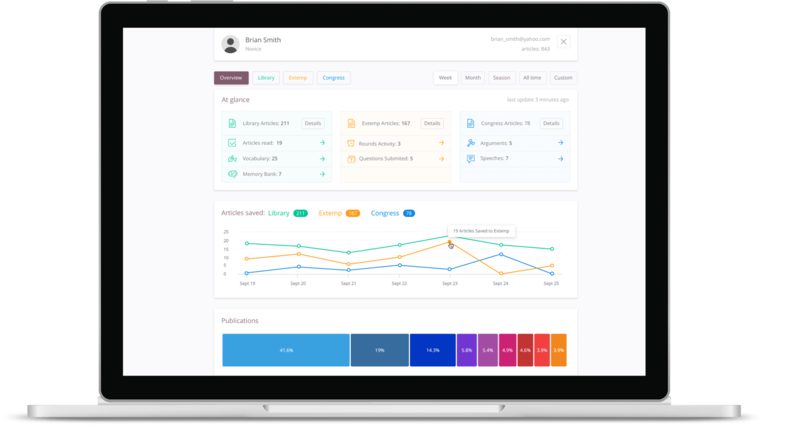 Line graphs and charts visualize a diverse set of educational activities in Prepd: article filing, article reading, memories saved, words memorized, practice questions submitted, arguments and speeches uploaded. Easily manage the members of your debate team. Invite new students to your team by sharing your Team Key or sending email invitations. 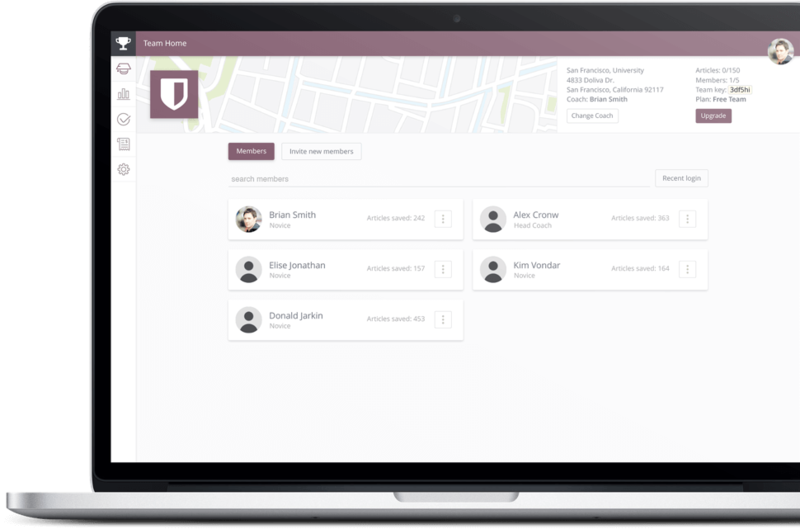 User roles allow you to set special permissions for your “Captain,” “Varsity,” and “Novice” debaters. NEW! 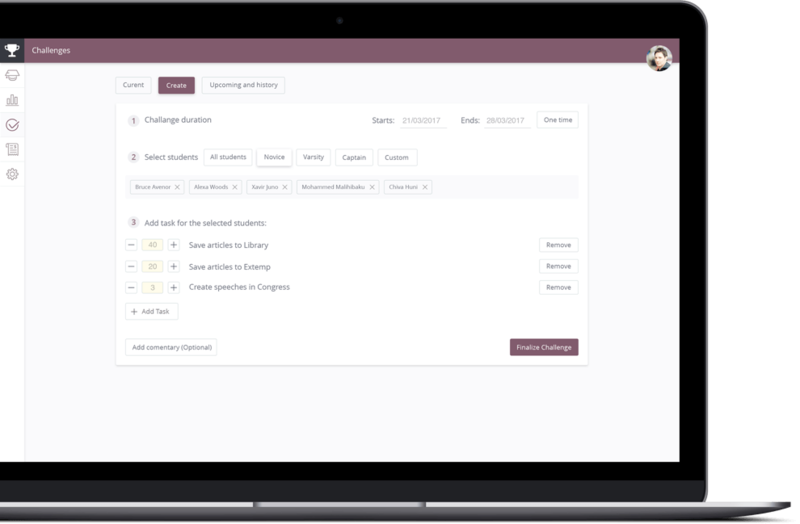 Create educational assignments (“challenges”) in Prepd. 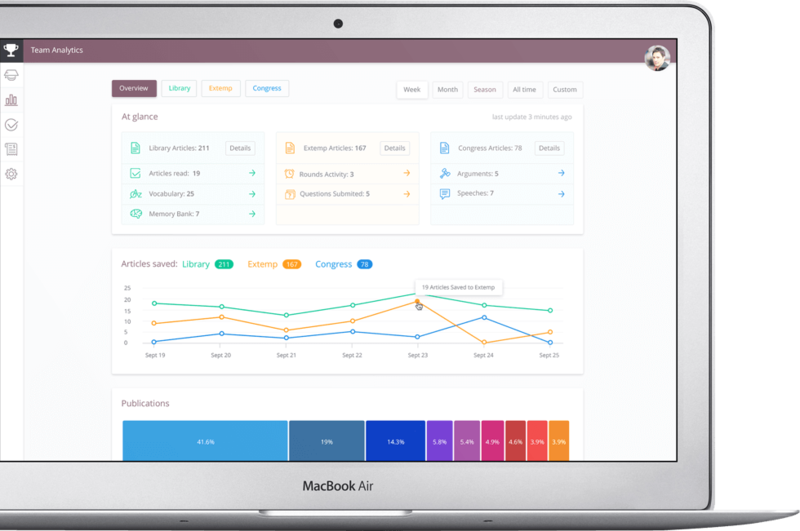 Identify the students you want to challenge, set a deadline, and specify the tasks. Students have clear guidance on what they need to accomplish. Coaches enjoy total visibility as their students complete their challenges. Learn more. 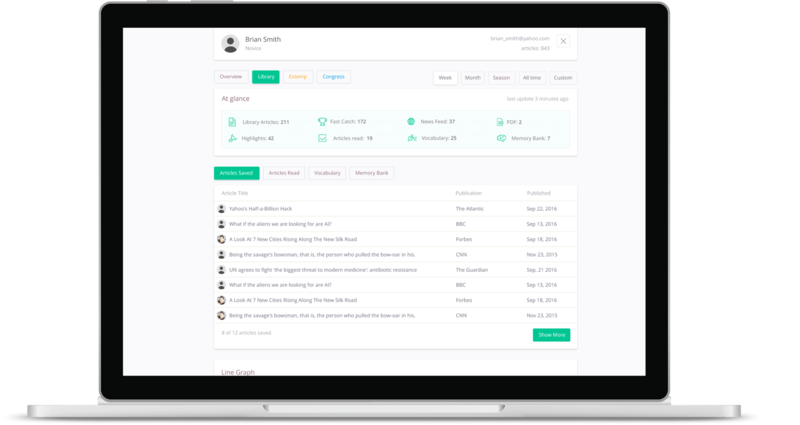 Each member of your team has a unique profile that visualizes his or her activity. User activity is displayed for each Prepd app. Click through to learn how Prepd organizes activity from the Library, Extemp, and Congress. View filing activity from Fast Catch, News Feed, and PDF Upload. Track reading activity and corresponding comprehension exercises. Review individual memory bank and vocabulary list entries. Prepd tracks each Extemp round that a debater creates: the topic question and the articles used in every round (online and offline) are saved and then visualized in the user profile. Separately, Prepd displays all the Extemp topic questions submitted by the debater. Review all the Congress Arguments sourced directly from an article. Also, check out uploaded Congress speeches. 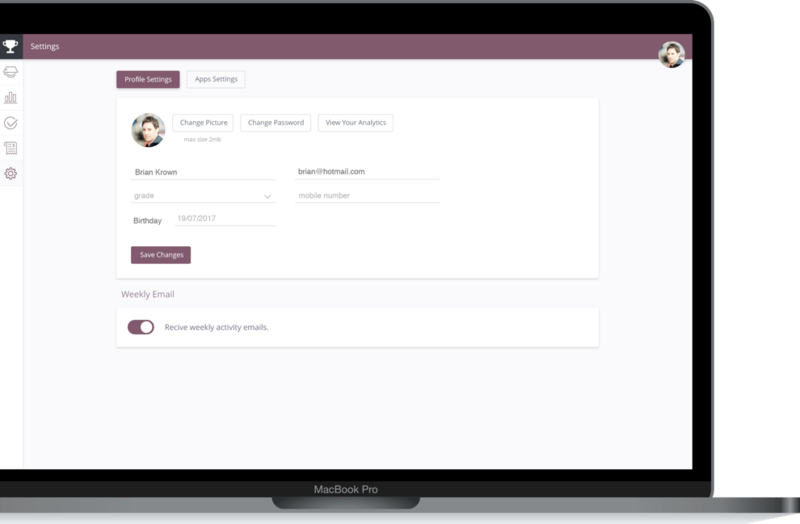 The Billing panel in the Classroom makes it easy for you to manage your membership. Review payment history. Increase your member limit or subscribe to additional apps. Refer other coaches to Prepd and earn a discount on your next renewal! Easily adjust Prepd application settings. Purge old articles en masse. Toggle on/off the weekly activity emails. Reconfigure the News Feed or the reading comprehension exercises. Change privacy settings. Download activity reports as an Excel file. 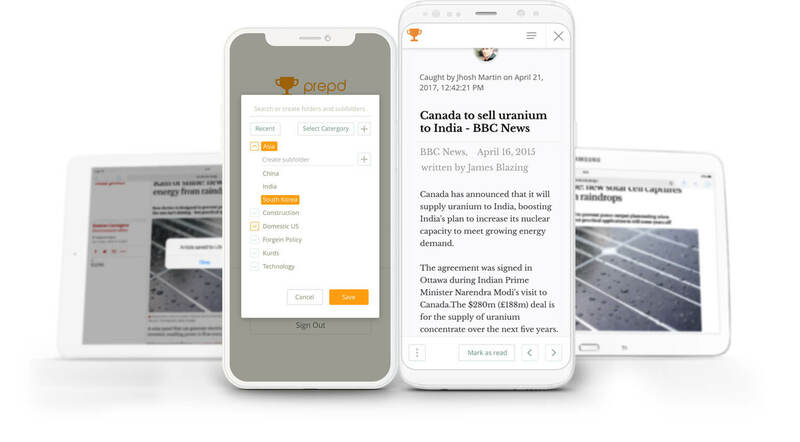 With Prepd’s mobile app, you can save articles with a single click. Open the app to save articles to Extemp folders and Congress bills. Browse and search through your feed. Read any article on the go. Download the app from the Apple App Store or Google Play. 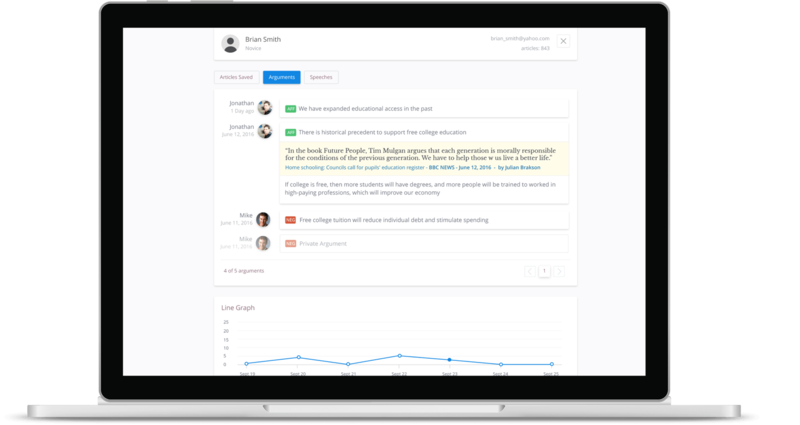 Does your team want to use the most advanced debate software ever created? 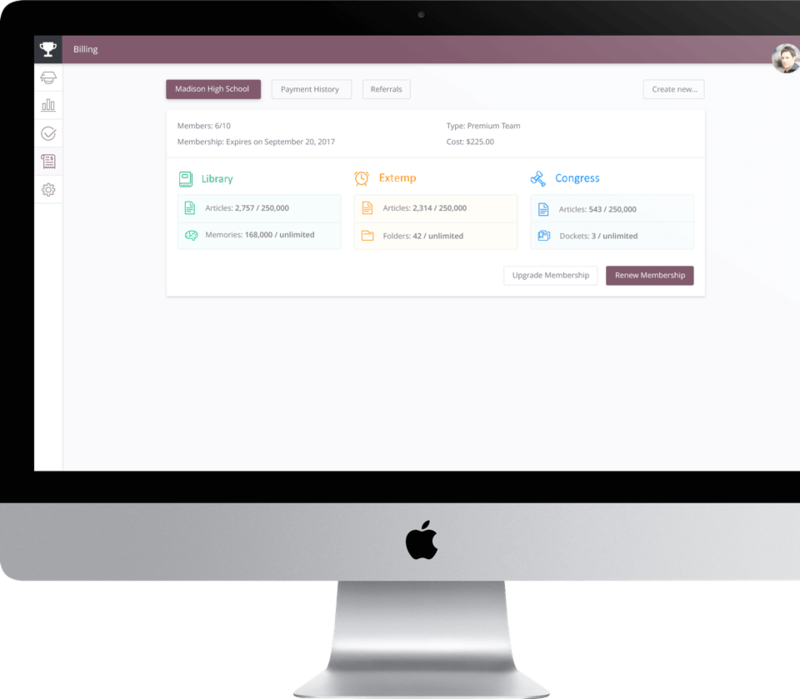 Get started with Prepd by creating a free trial account today. New! Free mobile apps for iPhone and Android. Save articles to the library from your phone. Exciting news! Prepd has released free mobile apps for iPhone and Android.. “Prepd Library” allows you to save articles from your phone to the Library app with only two taps. When you first open the app, be sure to watch the short tutorial to learn how to save web articles on the go.